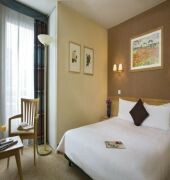 The Citadines Paris Bastille Marais is located halfway between the Bastille area and the Marais, just a 5-minute walk from the famous Place de la Bastille and Place des Vosges. The Apartment hotel includes a total of 138 guestrooms spread over 7 floors ,108 Studios for 1 or 2 guests and 30 One-Bedroom apartments. Accommodations are equipped with air-conditioning, flat-screen TV with selected satellite channels, fully-equipped kitchen with modern appliances such as stove, microwave and grill, dishwasher and fridge, high speed internet access as well as contemporary furnishings and fittings. 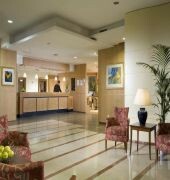 The property also offers a garden, a sizeable lobby with lifts, safes and a 24-hour reception. Additional features include a cafe and a breakfast room. 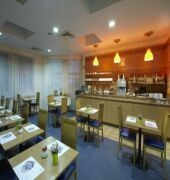 Business guests may make use of the meeting facilities and business centre with free WiFi access. 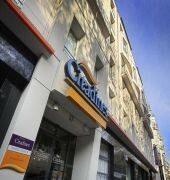 The CITADINES PARIS BASTILLE MARAIS is a Tourist hotel. Located in City Centre - Bastille area. Shopping is accessible by bus/taxi and the nightlife/restaurants are easily accessible by taxi or bus from the hotel. Descriptionclass="small" style="text-align: justify; font-size:11px;">The Citadines Paris Bastille Marais is located halfway between the Bastille area and the Marais, just a 5-minute walk from the famous Place de la Bastille and Place des Vosges. The Apartment hotel includes a total of 138 guestrooms spread over 7 floors ,108 Studios for 1 or 2 guests and 30 One-Bedroom apartments. Accommodations are equipped with air-conditioning, flat-screen TV with selected satellite channels, fully-equipped kitchen with modern appliances such as stove, microwave and grill, dishwasher and fridge, high speed internet access as well as contemporary furnishings and fittings. The property also offers a garden, a sizeable lobby with lifts, safes and a 24-hour reception. Additional features include a cafe and a breakfast room. 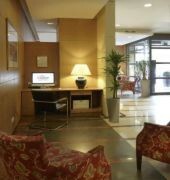 Business guests may make use of the meeting facilities and business centre with free WiFi access.